A federal judge has rejected a request by a mortgage firm to dismiss a lawsuit accusing it of defrauding the U.S. government, according to a Reuters report. In a decision made public Tuesday, U.S. District Judge George Hanks said that Americus Mortgage Corp., formerly known as Allied Home Mortgage Capital, would have to face the lawsuit, which alleges that the company misled the government into believing its loans qualified for insurance through the Department of Housing and Urban Development’s Federal Housing Administration, according to Reuters. The government can also pursue claims against Allied chief executive Jim Hodge and compliance director Jeanne Stell, the judge ruled. 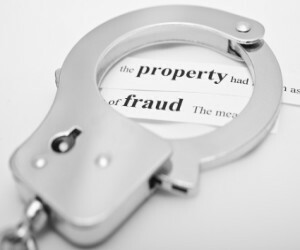 The government alleges that while operating as Allied, Americus falsified records, intimidated former employees into silence and represented shoddy loans as qualified for insurance through the FHA. It also alleged that Allied employed “quality control” staff in the U.S. Virgin Islands who did not know what a mortgage was, according to Reuters. According to the government, 32% of the 112,324 FHA-insured loans Allied made between 2001 and 2010 defaulted, costing HUD more than $834 million.